Note: Modifying a program structure without changing the program's external functionality is call refactoring. 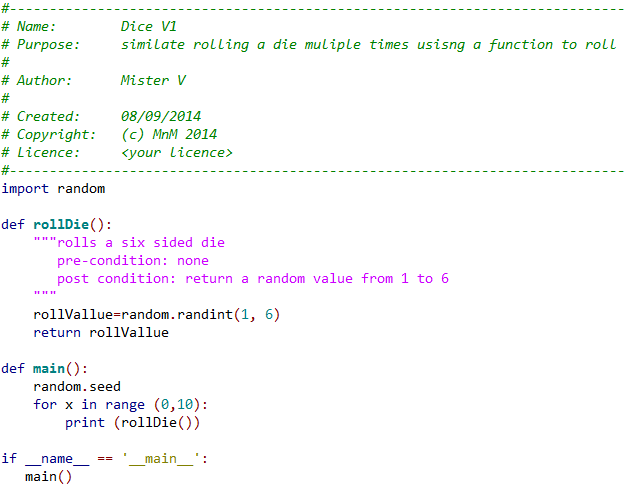 Create (define) a function called rollDie() that will return a new value for the value of the die each time it is called. After you have modified your program correctly, copy and paste the code in the the visualizer at pythontutor. Watch the code and its results as you step through the execution of the program. Now do the same for your first Dice program. Compare how flow through the program differs.